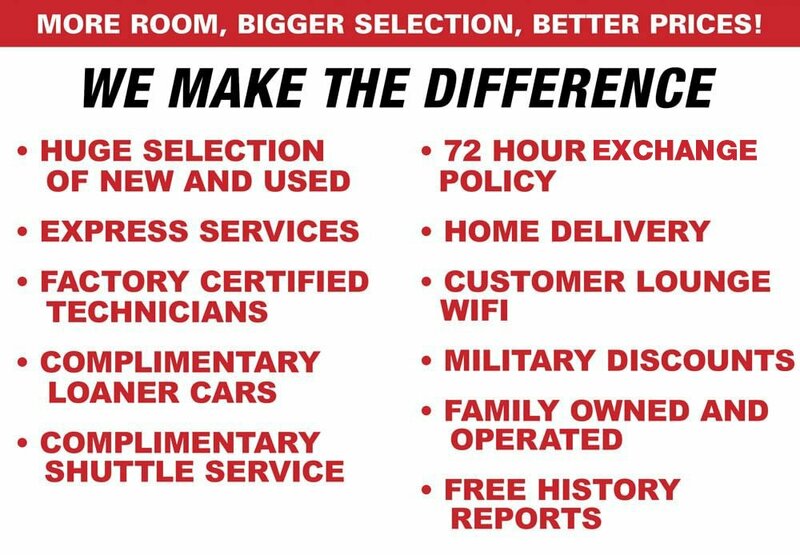 All prices are plus tax, title, license, $998 doc fee and reconditioning fee on pre-owned vehicles. Offer valid only on vehicles in stock at the time of purchase. Other restrictions may apply; second key, floor mats, and owner's manual may not be available on all pre-owned vehicles. Not responsible for typos. Price excludes tax, tag, dealer installed options, Prices include all applicable rebates, dealer discounts and NMAC customer cash. Freight charges from manufacturer apply to all new car inventory. Any prices quoted on approved credit only. Some offers may require financing with NMAC that may not be combined with other promotions (subject to credit approval) or forfeit any associated manufacturer incentives and up to $2,000 in dealer discounts. See dealer for details. While every reasonable effort is made to ensure the accuracy of this information, we are not responsible for any errors or omissions contained on these pages.